LILONGWE-(MaraviPost)-Public, political and scientific opinion this week firmly aligned itself with a crackdown on thin and single use plastics in Malawi. 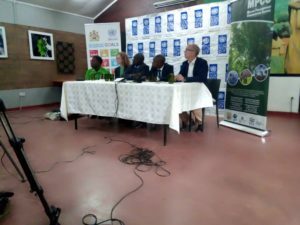 Findings from an independent assessment which was commissioned by the Malawi government with support from UNDP and Lilongwe wildlife trust were conclusive on the negative social, environmental and economic impacts of plastic pollution. Addressing the news conference at Lilongwe Wild life center on Thursday by the Malawi Parliamentary Conservation Caucus(MCP)’Spokesperson Commodius Nyirenda observed that there was a clear evidence that thin plastics are not needed as they continue to impact on the environment. Nyirenda said the conference aimed at pushing for the country’s leadership to show political over the matter. 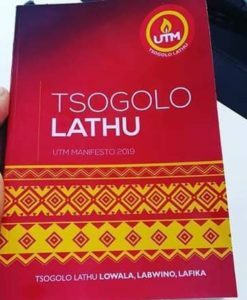 “If thin plastics use continues unabated we can expect degraded soils, worsening crop yields, reduced fish stocks, increased floods and losses in tourism revenue. the assessment shows that Malawi is behind many other countries in terms of plastic usage. let us take swift and decisive action before it is too late. The international community have recognized the urgency and gravity of the matter. as of 1 march 2019, lightweight plastic bans have been introduced in 62 countries. Last month, the European Union (EU) voted to ban single use plastics across Europe by 2021.